It was the 10th of March 2015, and I was driving home from school when I noticed a group of boys playing basketball in a driveway. I know this might not sound shocking to most of you but it was odd for three different reasons. 1. It’s winter in North Dakota. 2. It seems as though a pickup game of basketball just doesn’t occur on driveways as much as they used to. 3. The most important reason and the inspiration for this blog post…their season had just ended the night before with a loss in the first round of the regional tournament. You see, for these guys the season started the day after it finished. The loss they experienced the day before was not going to be their defining moment. The drive to keep going and to get better was rich within them. What they had done and what they were currently doing was preparing them for what was to come. This story is a great metaphor for life. How many times have we given up? How many times have you wanted to throw in the towel? How many times have we allowed ourselves to become complacent and accept the status quo? It’s important to keep going. Never take off your jersey. As educators this time of year is often accompanied by a sense of relief. We get to sit back and enjoy the summer. We can take off our jerseys and throw caution to the wind. It’s okay to feel this way, but don’t take off your jersey. You have an obligation to reflect, recharge, and refocus. Now is the time to make sure the next school year is better than the previous. Now is the time to grow. As I currently sit in my office for the last time at Griggs County Central, I’m thinking about those boys shooting hoops that day. I, like them, believe the season is just beginning. I get the opportunity to wear a new jersey in a different arena. As I make the transition from one school to the next, I have set a few goals for myself. 1. To continue to show people that they matter. We all have God given talent. We are all great at something. It is our duty as humans to do our best to make this world a better place. Why not start with letting someone know that they matter? Give someone a compliment every day. Better yet compliment people all the time. 2. To grow in faith. I’ve always considered myself to be a religious person. However, I like many, tend to keep my faith and beliefs to myself. I’m excited to become more extroverted with it. I know that my teammates at Shiloh Christian will be a great help with this. What are your goals for the coming year? Setting goals will help ensure that your jersey stays on. 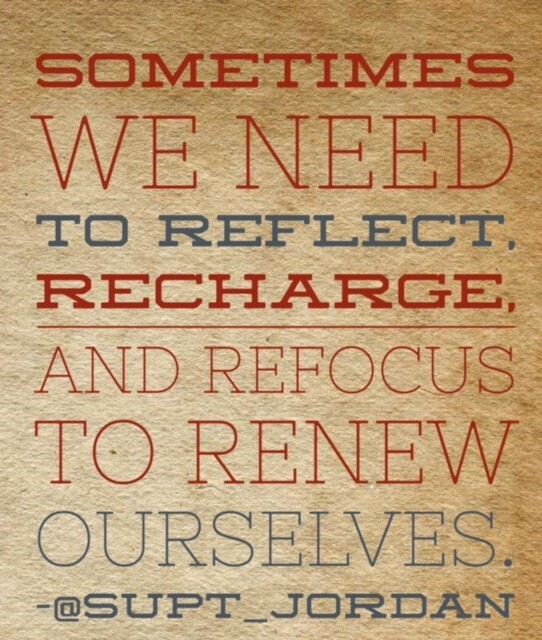 Remember that it is completely okay to reflect and recharge before you refocus. But don’t stop being who you are. Keep your jersey on. Continue to make each day better than the previous. You have something to offer this world. Blog explained in one paragraph. I bet you are a little perturbed that you see this paragraph. You could have scrolled down and read this one paragraph without going through the whole thing. Of course, you can take your jersey off and wash it. However, I and some of you were a little superstitious when we were younger, weren’t we? We didn’t wash our socks or our practice jersey because we were afraid to break the streak. The jersey is a metaphor for who you are and what you do. If this confused you, I apologize. I may need to take a moment to reflect, recharge, and refocus.